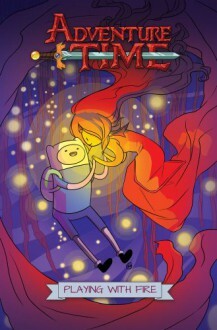 The hit Adventure Time comic continues with a brand new original graphic novel series!What Time Is It? Adventure Time! A full-length ADVENTURE TIME original graphic novel in the same popular format as Scott Pilgrim and your favorite manga! Join Finn as he goes on his most intense adventure yet…with his crush, the Flame Princess! Written by acclaimed web cartoonist Danielle Corsetto (Girls with Slingshots)!